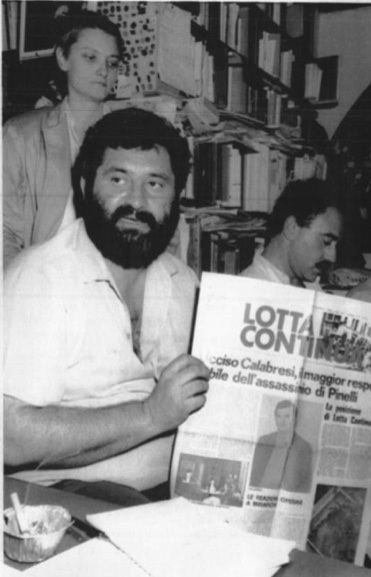 Giuseppe Pinelli’s death marked the first deep fracture in a bewildered Italian public opinion. 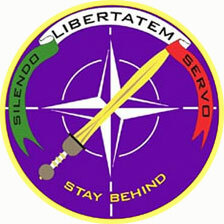 The mountain of charges levelled at Pietro Valpreda and the other anarchists from the Circolo 22 Marzo remained. But Pinelli’s ‘fall’ from the fourth floor at police headquarters — someone well known and well-respected in leftwing circles in Milan —left many bewildered. The contradictory evidence from the police, the false statements from police chief Marcello Guida and the unlawful detention had not gone unnoticed. 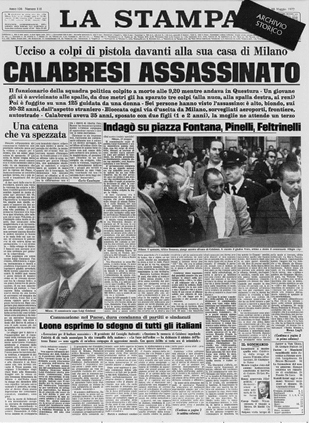 And when, on 27 December 1969, Licia Pinelli, Giuseppe’s’ widow and mother filed a complaint and sued Guida, some newspapers began back-pedalling over Pinelli’s guilt and suicide. ‘The suit concerns ongoing and aggravated defamation. The complaint relates to breaches of professional confidentiality’. 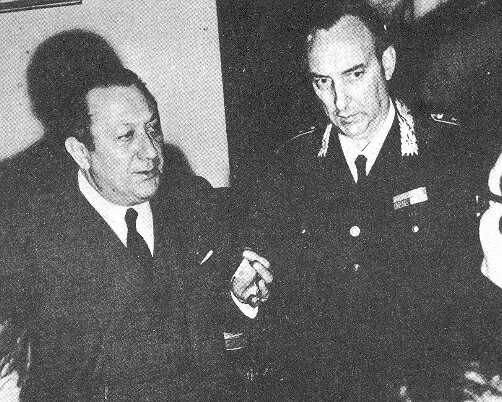 Police chief Guida allegedly committed both offences immediately after the railwayman’s suicide by issuing statements to the press ‘that he ought not to have done’ and venturing ‘assessments, interpretations and opinions’ which the two Pinelli women regarded as defamatory of the person of their deceased relative” wrote Giampaolo Pansa in La Stampa on 28 December. He went on to say: “The three young criminal lawyers assisting the two women in this matter — Domenico Contestabile, Marcello Gentili and Renato Palmieri — have spoken. The charges brought by the lawyers are based on three points. Namely, that immediately after Pinelli’s death the police chief stated ‘in further press conferences’ that all of the railwayman’s alibis had collapsed. 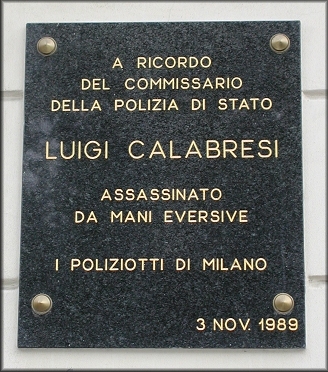 According to the three lawyers, this involved ‘grave and unfounded’ claims that Guida allegedly repeated several times […] The police chief’s second ‘offence’ — that he was quick to draw a connection between the charges against Pinelli and ‘the alleged suicide’ by telling everyone that Pinelli had killed himself because he was compromised by the police officers’ questioning […] The third ‘charge’ against Guida (and the most serious one in the view of the three lawyers) was that he had named Pinelli as guilty of ‘dynamite attacks’. 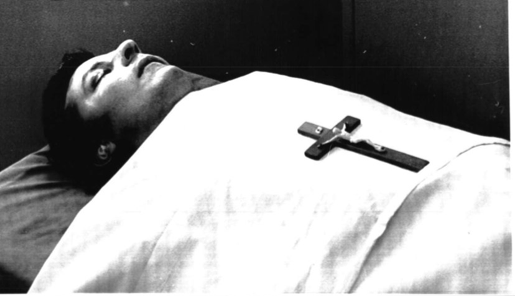 In short, many people wondered, if Pinelli were innocent, why did he kill himself? 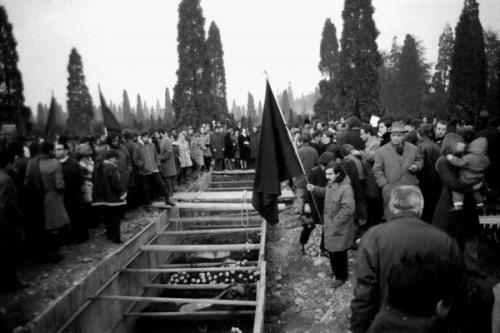 Why did three thousand people walk behind the anarchist’ s coffin on 20 December in spite of the atmosphere of police intimidation? These were questions that ate away at the official ‘truths’ of the police and magistrates. 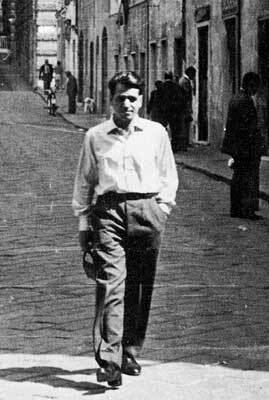 Who had lied about a fellow born in Milan in 1928 in the working class district of Porta Ticinese? Stockily built, of medium height, black whiskers and goatee, Pinelli left school after elementary level, working first as a waiter and later as a warehouseman. But leaving school early, however, did not mean that he had given up on books: he read them by the hundreds. He was a passionate self-educator. In 1944 he had been a runner for the resistance in Milan, the Brigata Franco where he became involved with a group of anarchist partisans. That meeting left its mark on his life, and his anarchist activism can be traced back to those years. In 1954 he won a competition and joined the railways as a labourer. The following year, he married and was to father two daughters, Silvia and Claudia. 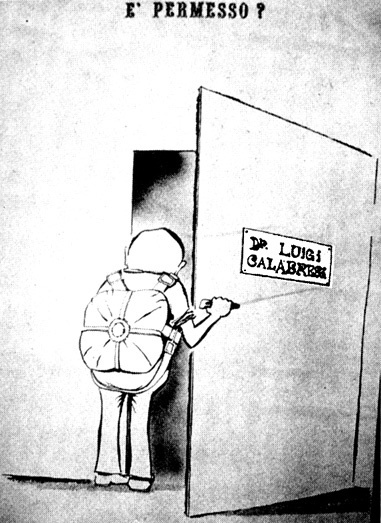 In 1963 some young people set up the Gioventú libertario (Libertarian Youth) group, which brought a breath of fresh air to the political atmosphere of Milan. Even though he was 35 and the others were little more than 20, Pinelli got on well with them. He became a natural point of contact between newcomers to anarchism and the older militants who had survived fascism. Then things took a turn for the better. 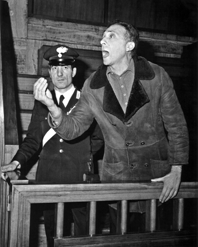 In 1965 he helped found the Circolo Sacco e Vanzetti in the Viale Murillo. 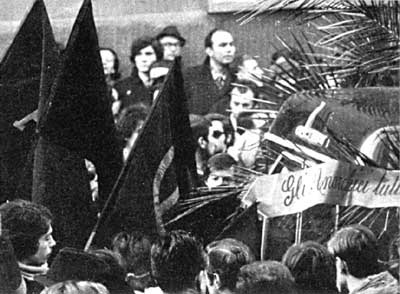 Milan’s anarchists hadn’t had their own premises for ten years, but in 1969, the youngsters found premises in the Piazzale Lugano and called it the Circolo Ponte della Ghisolfa, only a few metres away from the bridge of the same name overlooking countless gardens. The winds of May in France were blowing through Europe at the time. 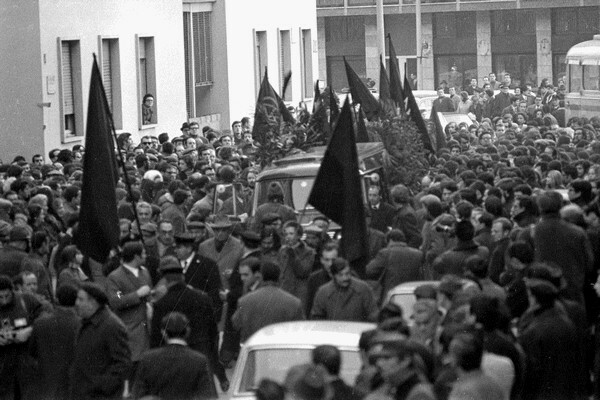 Pinelli lived through the frenzy of those days: students were challenging the authorities and the workers were showing signs of running out of patience with the traditional unions. 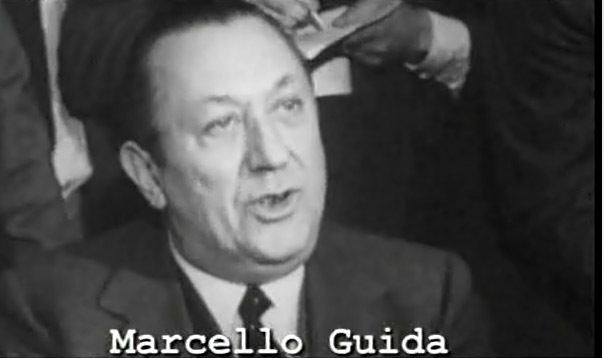 This atmosphere presented Pinelli with a tremendous opportunity to revive the USI (Unione Sindacale Italiana), the libertarian trade union which, under Armando Borghi’s guidance in the 1920s, included among its membership a young Giuseppe De Vittorio, who was to win fame as the secretary of the CGIL. The first of the united rank and file committees (CUBs), trade union structures that were independent of the three big trade union centrals, the CGIL, the CISL and the UIL, were coming into being. The most pugnacious of these CUBs was the one at ATM, the Milan tram company. It was led by a fifty-year old who had been active in the anarchist movement in the immediate post-war years. There was considerable affinity between the tram worker and Pinelli the railway worker. The CUBs found the Ponte della Ghisolfa premises the most appropriate place to meet (until the bombs of 12 December and the hysterical anti-anarchist campaign prompted the CUB members to look for other premises). Pinelli was forever on the lookout for chances for confrontation, reaching out to those who had lost patience with the official unions. Another circle opened in the Via Scaldasole, a favourite meeting place for students galvanised by the events of May ’68 in Paris. 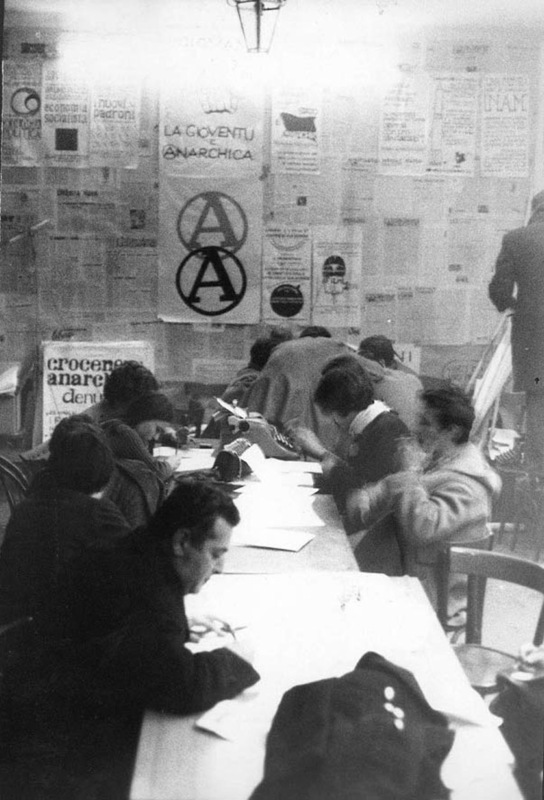 The situation was excitable to say the least, but unlike the ‘chaotic’ structures the newspapers wrote about later, the Milan anarchists (and they were not alone) had well-defined small groups of militants who knew one another well. 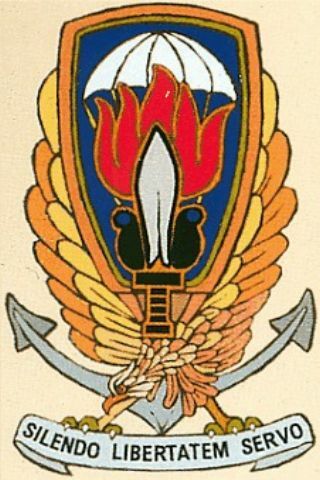 In Milan the Gioventù Libertaria (Libertarian Youth) changed its name to Bandiera Nera (Black Flag). 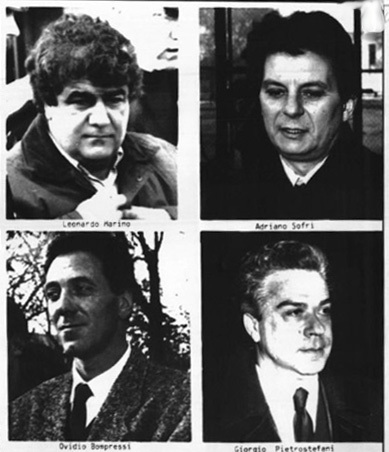 This group included, in addition to Pinelli, another worker — Cesare Vurchio, born in Canosa di Puglia in 1931. Pinelli worked closely with Vurchio. They were of a similar age and both had families to support. The rest of the members were youngsters, some of them still students. 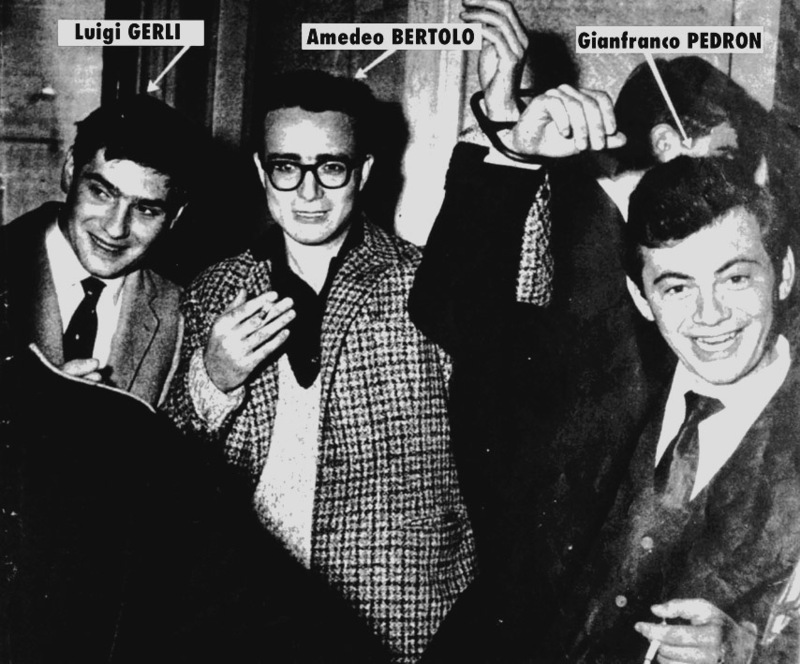 One of these youths, Amedeo Bertolo, although only 28 years old, already had some experience inasmuch as he had been involved in a spectacular action in 1962 — the abduction of Franco’s vice-consul in Milan, Isu Elias. It had been the first political kidnapping since the war. What was the reason for the abduction? 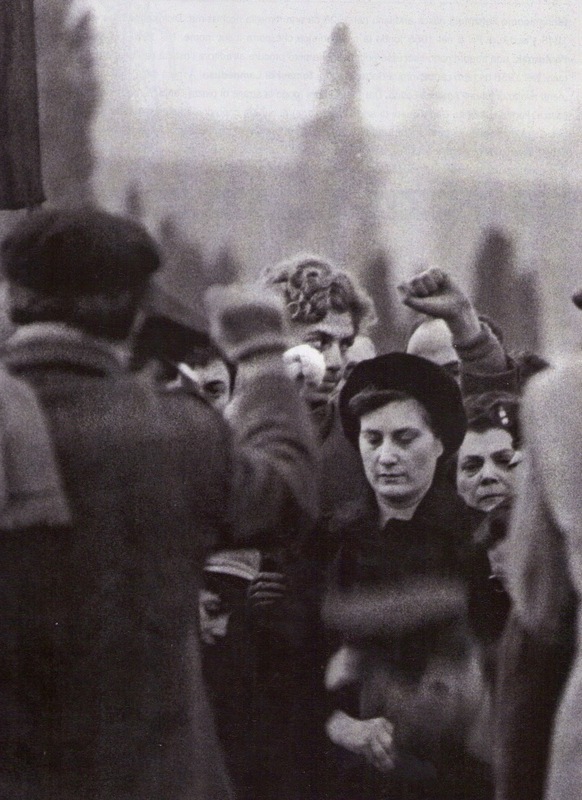 Early in September 1962 Jorge Conill Valls, a young Spanish anarchist, had been sentenced to death for anti-Francoist activities by a court martial in Barcelona. Speed was of the essence. 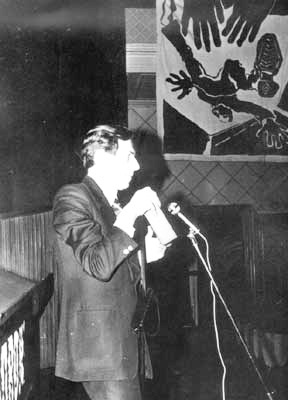 Bertolo — who had met Cunill in person a month earlier, during a ‘mission’ organised by the clandestine Spanish Federación Ibérica de Juventudes Libertarias (FIJL – Iberian Libertarian Youth Federation) — quickly set the abduction in motion on 29 September, together with a half a dozen anarchists and ‘restless’ socialists. 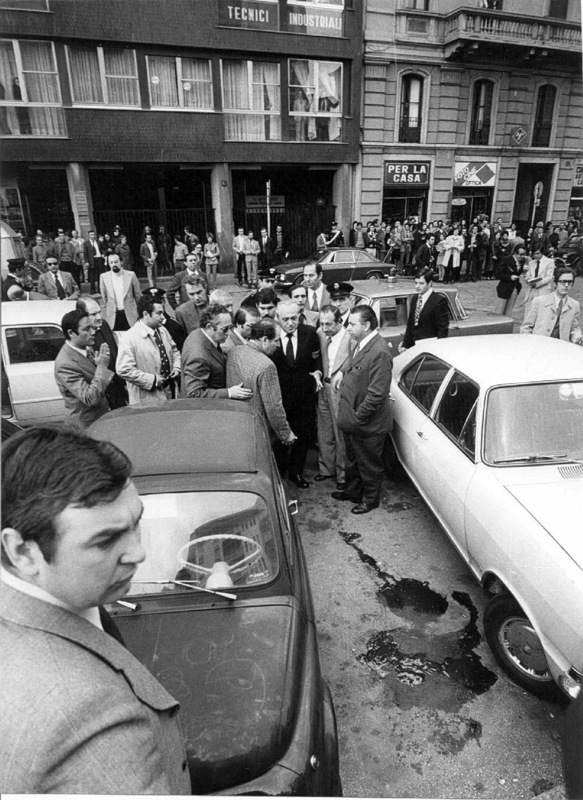 The kidnapping dominated the front pages of the international press for days and triggered a campaign of anti-Francoist solidarity that brought considerable pressure to bear on the Franco regime at several levels — from street demonstrations to the ‘humanitarian’ intervention by Cardinal Giovanni Battista Montini, the future Pope Paul VI (1963-1978). Conill’s death sentence was commuted after three days to one of thirty years imprisonment and Isu Elias was immediately released. His kidnappers were quickly identified and jailed. The last of these, Bertolo, who had fled to France, spontaneously and quixotically surrendered himself at the courthouse just as the trial in Varese opened. The trial itself was covered by much of the Italian press as an indictment of the Spanish fascist government rather than of the actions of the young Italian anti-Francoists. On 21 November all the accused were found guilty but received nominal sentences. 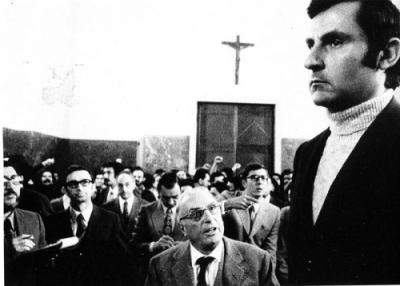 For Bertolo (who, in April 1969, was to be among the founders of the Croce nera anarchica, dissolved after Valpreda’s release in 1973) the sentence was six months imprisonment for the kidnapping and 20 days for unlawfully bearing arms. In their judgement, the judges, presided over by Judge Eugenio Zumin, recognised that the accused had ‘acted on motives of particular moral and social import’ and all were found blameless and released on parole.